Sorry to be late with winter coping tips, but I’ve got two ideas that might be worth mentioning. 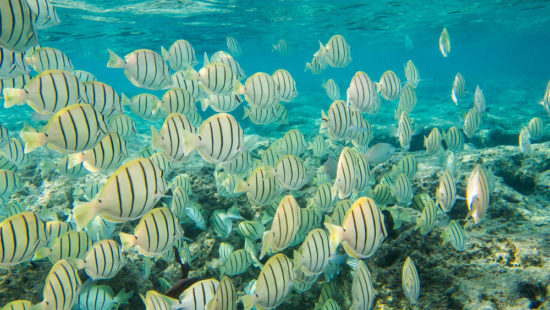 If you’re at your wit’s end of winter, try to find a sunny and warm place to snorkel (preferably in the tropics), or go to a local tropical fish store. My friend Peter Morrin, on a walk around our Salvisa farm last month, described the view across the alfalfa field, with its dozens of shades of grays and browns, as looking like landscape paintings of 17th century Dutch tonality. Peter is a distinguished art historian and former Director of Louisville’s Speed Museum. His observation was brilliant, and flattering, but the day was still dreary. Seasonal tonality in Salvisa, Kentucky. I did not feel trapped in a painting. I only felt trapped in winter. I’ve got a yellow-flowering witch hazel, Hamamelis ‘Wisley Supreme’, in glorious bloom, urging me on, but it’s still slow sledding to spring. 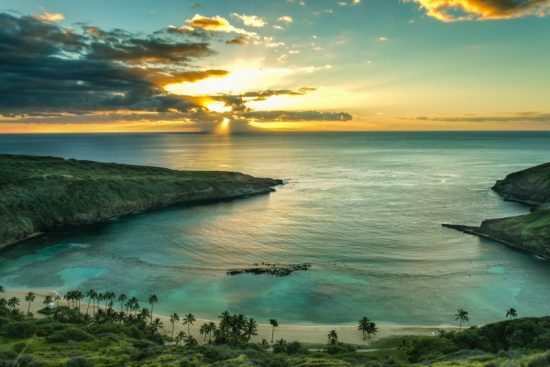 Hawaii’s beautiful Hanauma Bay is a full day of air travel from Louisville; Petropolis is only a 10-minute car ride from Salvisa. Movie Vault and PETropoliS in Lawrenceburg, Kentucky. No one might imagine that the misery of a cold winter’s day could be a mitigated by freshwater tropical fish—pacu, discus and cilchids. PETropoliS Live, in Lawrenceburg, KY, is not just any fish store but one run in tandem with the Movie Vault. Nowhere else can you buy tropical fish and rent a John Wayne movie. 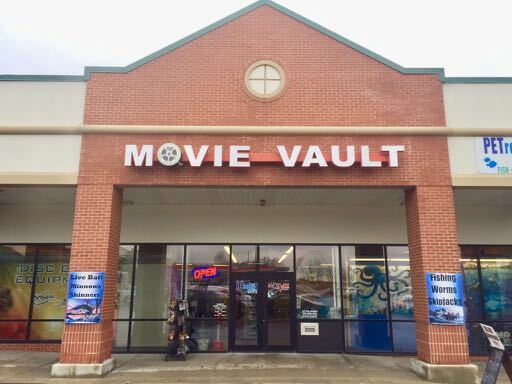 The Movie Vault, with 11,000 movie titles for sale or rent, has survived Blockbuster’s downfall and Netflix’s reign, in no small part, thanks to Petropolis. 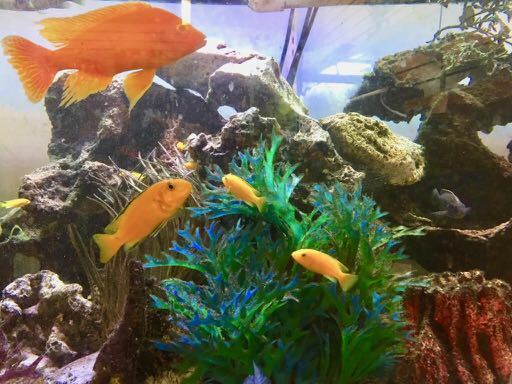 Yellow labs and peacock cichlid at Petropolis. Mac Reid, my friend and Salvisa neighbor, tipped me off about Petropolis. 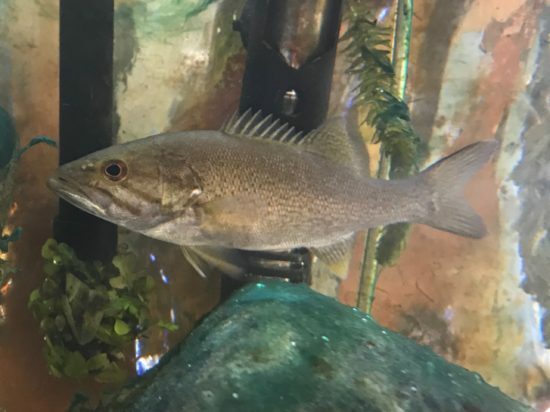 Mac, known storewide as Guppy Man, picks up guppies every Thursday afternoon to feed Brucie, his baby smallmouth bass. Brucie is named after Mac’s late uncle, Bruce Bass. Mac caught Brucie with a fly rod, and a tiny fly, last July while fishing on the Salt River. The Salt River snakes around his Millwood Farm. At the time, Brucie was a tiny one-inch long. I thought about Mac and Brucie last month, while Rose and I were snorkeling in Hawaii’s Hanauma Bay. It was sunny and warm on Oahu. 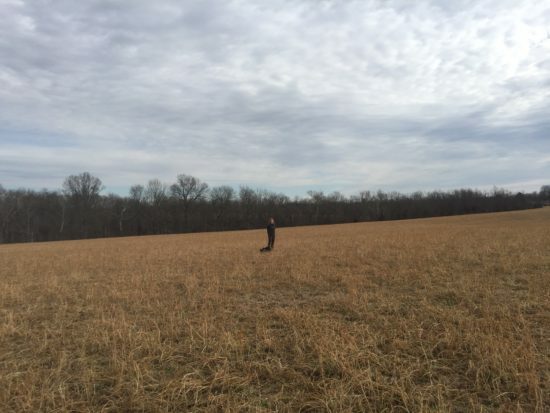 It was, well, uh, freezing in Salvisa, KY. The temperature struggled to inch above freezing during the day and was down in the single digits at night. Brucie was snug as a bug in a warm (70 F), 20-gallon fish tank. He lives in the kitchen near the Reids’ fireplace. Mac keeps the fire stoked and feeds wiggle worms and guppies to Brucie. Brucie, who is now five inches long, takes slow laps around the fish tank and occasionally noses by a Java fern. Hanauma Bay was created roughly 32,000 years ago when an ocean vent erupted and created a crater that eventually weathered away. Coral reefs and a horseshoe bay slowly took shape, creating a shelter for tropical fish. Convict tang at Hanauma Bay. Shutterstock photo. Rose and I snorkeled in Haunama Bay in suspended, slow motion. We floated over cauliflower coral, watched convict tang pass by, and kept an eye out for stingrays and sea urchins. But now Hanauma Bay is only a warm memory. Back home, I visit Brucie on cold afternoons while I wait for snowdrops to bloom. Hanauma Bay to Petropolis originally appeared on Garden Rant on February 7, 2018.